As we are trying to map the first year of entrepreneurship, we couldn’t get near to doing a good job without including the basics of team building. 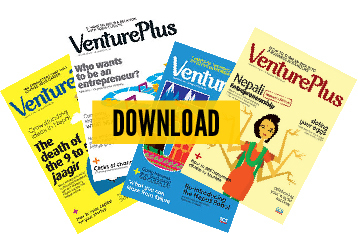 So, here are a few things that some of the young entrepreneurs and the VenturePlus team have learned about building and working in a team. Googling the word “team” takes you to meanings like: “a group of like-minded people working together to accomplish a common goal”. The simplicity of the definition is nowhere close to the complexity that comes from making people work towards a common goal. How important is it to have similar people? What is a good team player like? How can an organization make a good team? No matter how hard a manager or a leader tries, a team cannot work efficiently unless they work together. The first step to effective team building is the timing, both personal and organizational. It is important to recruit the right people at the right time. While forming a team, each member should be in a place in life when he or she can fully contribute to the goal without personal or professional constraints. We want fully committed individuals working to make sure the project sees its desired results. The key to a fully functional team is a set of fully functional individuals. An organization should give the team enough time to form, mingle and then perform. 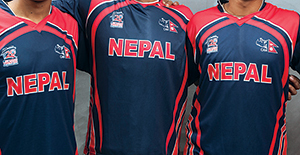 Nirmal Thapa, Manager of Nepali Bytes. Good team members make a good team. They can act as a whole but they are in fact individuals. It is important to have people who do not clash at personal level so that organizational success is possible. Team members should be willing to create a good working environment and welcome new people into the group. Good communication among members is integral. Passion and energy for work. Strong connection to organizational development. Involvement in operation and investment so the team feels connected to the idea. A team should always have eyes on the goal and for that they need both inspiration and motivation. While manager or team leader plays a key role in inspiring a team, it takes incentives to work hard as a member. Ideally, a team’s goal merges with the organizational and individual goals. Finally, a team cannot be built without a team leader. A good team leader organizes, inspires, delegates and gets the work done. It is impossible to discuss team building without considering the person who is to keep the group together. Know the strength of the team. If a member can work at his best listening to music, let him do it! As long as the task is done. Have the ability to keep the team motivated and committed. Listen. A good team leader listens ninety percent of the time and talks only the rest. Be a diplomat, know the sentiments of your team. How Do We Shape It? That's how the cricket team does it!